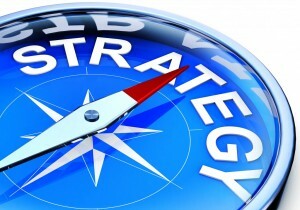 PR and Communication must be strategic to be effective here’s an easy 8 Step Plan. In a 2016 article Roger Jabaly defined strategic communication management as “The systematic planning and realization of information flow, communication, media development and image care in a long-term horizon. It conveys deliberate message(s) through the most suitable media to the designated audience(s) at the appropriate time to contribute to and achieve the desired long-term effect. Communication management is process creation. It has to bring three factors into balance: the message(s), the media channel(s) and the audience(s)” (Bockstette & Carsten, 2008). Jabaly further suggests that writing a communication strategy should include identifying the different aspects that need to be planned for. 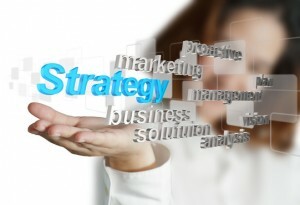 He offers eight steps that would lead into a well-rounded strategy, fulfilling the aspirations of most organizations. 1) Statement of Purpose: Why are you developing a communication strategy in the first place and what needs to be achieved with it. 2) Current Situation: To understand your organization’s current situation it is highly recommended to use tools such as: SWOT analysis (Strength, Weakness, Opportunity, Threats), PEST analysis (Political, Economic, Social, Technological, and Competitor analysis). 3) Set Objectives: It is crucial to align both Organizational and Communication objectives and present a communication strategy that delivers on your organization’s overall vision, and objectives. 4) Identifying stakeholders: Know your audience. Whether internal or external, communicators should be able to give a comprehensive description of their audiences. 5) Messages: Craft your messages to be simple, relevant and appealing to your different audience. Avoid using one size fits all approach. 6) Key Communication Channels: Ask yourself what are the most appropriate channels to use in transmitting your messages? Understand all the available media channels and their level of engagement each offers your audience, especially social media. 7) Playbook: With your audiences and communication methods identified, it is time to highlight your key communications activities, budget and allocated resources. Your work plan will allow you to measure steps toward your goals. For a truly well-rounded communications strategy, communicators need to incorporate detailed plans for Media/PR, Digital, and Crisis Communication. 8) Auditing and Evaluating: What are your key performance indicators, what would strategy success look like, how would you evaluate, measure and audit your communication strategy performance? Add to the conversation! Share and contribute your thoughts, questions and experience on developing a communications strategy. This entry was posted in Analysis and Advice, Business Strategy, Corporate Communication, Education and Training, ethical branding, Leadership, Public Relations, Social media, Strategic corporate communication and tagged audience needs, Crisis communication, digital, ethical leadership, evaluation, media messages, objectives, PR and corporate communication, PR planning, PR Research, purpose and vision, strategic communication, strategic planning on Jan 4, 2018 by Dee. I want to take up the issue raised by Wadim Schreiner in his article in The Media Magazine (December 2013: 4) entitled “Strategic comms is not an info dump”. He criticises public relations people who “dump” irrelevant information and “hot-air activity” on “as wide and undefined audience as possible” and then fail to do a valid and credible impact assessment (I assume that is because the research methodology will show a mere haze of media activity with no clear outcomes……). 6. Selecting the media that your audience uses and finds relevant, ensuring “a high hit rate”. 7. Timing distribution of messages to suit audience’s demographics, logistics and lifestyle. Go to them, they’ll tell what media to use. 8. Assessing feedback and impact, and evaluating audience perceptions thru’ good qualitative research, not only qualitative. The quality of a limited number of good connections far outweighs the quantity of a shot-gun approach to messages. It’s the connections that invite engagement, use and loyalty. Ultimately these are the things that matter, if you’re value- and goal-driven, rather than purely sales-driven. Public relations and strategic communication (without an s) are about long-term relationship building, not only about sales and marketing. Reputation management should include reliable, valid and credible methods of measuring improvement in reputation. Another way of measuring reputation is: put your business on the market and add a value to your ‘reputation’ over and above the financial value and see whether others agree with your valuation or not! This entry was posted in Analysis and Advice, Corporate Communication, In the Media, Public Relations, Research, Social media, Writing for the Media and tagged activities, audience needs, dumping, financial value, goal-driven, loyalty, measuring impact, PR, quality connections, reputation, research, shotgun approach, strategic communication, tactics, the media, value-driven business, Wadim Schreiner on Dec 16, 2013 by Dee.